About Influence - Social Media News for You! Check out our collection of social media news from all corners of the interweb. Search above, or browse via categories for stories related to your industry. Have Questions? We can answer them. Don't hesitate to drop us a note. 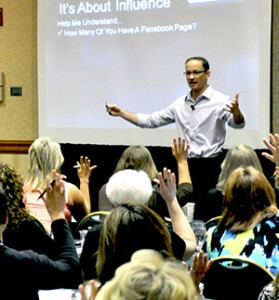 Jared has presented to 1000's of participants around the United States, reach out to us about your event. Jared Beard has presented to 100's of audiences all around the United States, watch just a small sample of Jared speaking about social media. Jared has been a super-nerd from the minute he and his evil twin brother hacked away at the innards of their Commadore 64. With over 20 years as a youth leader, educator, paradigm shifter, and IT MegaGeek, Jared has been at the bleeding edge of all the good and bad the Interweb has had to offer. 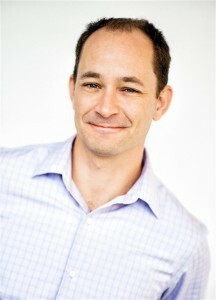 As a Web/Media business owner, Information Technology Director and Instructor in the MBA and MSIS programs at the Kelley School of Business at Indiana University, Jared has managed, designed, implemented and analyzed projects from server-side hardware and software Virtualization to CRM/Email Marketing Systems that interact with every constituent within the 8 Campus Indiana University Organization. Himself, a victim of 1000’s of hours of dull and humorless education, Jared will entertain and challenge the audience while sneaking in just enough theory and real-world knowledge to help you plan out your next steps into this brave new world. What does your organization need to surf the waves in the social marketing ocean? What does your organization need to surf the waves in the social marketing ocean? How will you get the most “bang for your buck”? How do you track the ROI? Questions that justify our investigation into social marketing and social influence. This dynamic, humorous and edu-taining session will help your organization plan its move into social media/marketing and track the ROI of the results. High level concepts and real world examples – both good and bad will be paraded out in all their pride and shameless glory. Find out the answers to questions like: Where should I focus my budget to get the best ROI? What are the rules of engagement with this new customer base? How can I keep my costs low to get the biggest bang for my buck? What do I need to know to start my campaigns? The differences between the types of social media outlets – Where to start and how to apply this information to help your business benefit from your efforts. The good and bad of campaigns from big and small business – What worked, what didn’t. What we can learn from others. A framework to overcome the fear of diving into this new marketing world – How to jump in the waters and increase your business without driving customers away. The Do’s and Don’ts to maximize ROI – How to sincerely socially engage with the goal of increasing the quality of the relationships with your customers. Tips for coordinating the managing your campaigns – How to do more with less! Please visit https://whiteirondata.com/ to see 20 years of our website consulting.